Twitter Social Media Tips for Marketing a Business. Business Promotion Tips via Twitter based Marketing to achieve a better success in Getting leads. Quick Twitter Marketing Tips for the Best Upshot. 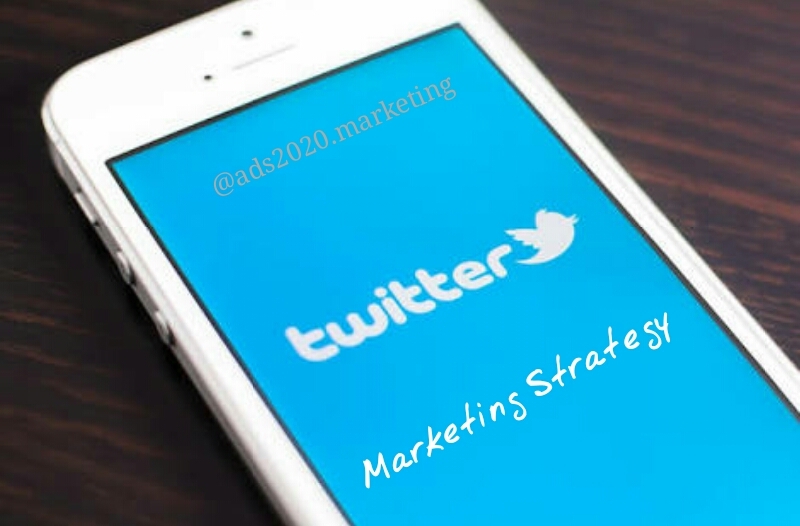 For effective Twitter marketing you need to handle your Twitter smartly enough. You know your audience is knowledgeable and learned.So try to not take them for granted but instead make some good strategies to win your audience. Twitter is the smartest social media platform and the users prefer to be their intellect mind. You need to experiment things and find out what works best for you. There is a wide range of users with different interests and knowledge. You need to understand carefully who will be the best audience for you. Your marketing success at Twitter depends on knowing your audience effectively. Pay attention on demographics, their lifestyle, language they speak, their occupation, education level, buying behavior, etc. Quality stuff can get you more followers/ prospects and bring in more traffic to your website and increase sales. A few tips for making your Twitter marketing worth a while are stated below. Take a look! To be honest, what you want is people to read and retweet your tweets., click on the links, praise your stuff and follow you. All this is possible only if you are mindful about how you tweet. Try to write tweets that goes in sink with your personality, your brand and the business you are into. Moreover focus on adding value to your tweets. Tweets with more than 120 characters performs better as compared to the ones with less than 70-60 characters. The longer the tweet, more the engagement. Hashtags will get you more traffic. Those who are not your followers will come come to know about you via these when they search for particular hashtags. But it should be taken care of that too many hashtags does not perform good. People hardly take interest in tweets with hashtags overloaded. Try to use links with hashtags. It has the chances to give really good results. Words like ‘Click’, ‘Right Now’, ‘Today’, ‘Join us’, ‘Spread’ etc leads to more engagement as per the studies. Try to use these often. Tweets with pictures attract attention more than just plain tweets. Try using embedded photos. Maintain the image aspect ratio for twitter because size does matter. 1-5 tweets per day are more than enough. The content is one highly imperative part when it comes to social media. Especially for the purpose of marketing.Whether we are talking about a website, blog post, twitter, Facebook, Instagram, Pinterest or any other, a good content is always a game changer. It can do wonders for the business. The keywords used in the content takes up the charge for getting traffic to your site/page. Use the keywords that are indicative of your industry, business, brand etc. Intelligent keywords can get you appear on the top in the search engine results and hence more targeted traffic. Every character in a tweet has a role to play. Make it worth. On the other hand, talking about links then they too are necessary as they encourage more communication and engagement. Links with smart CTAs, hashtags and keywords can be magical. There are various tools through which you can get to know the problems your prospects are facing like Nexalogy, Hootsuite, Socialbro and lot more. These kind of social media tools are extremely helpful to the businesses and marketers. You can analyze your social media audience’s most talked about topics and other important things as well. Once you know the problems your prospects are facing, you can provide them the solution to that via way of some video or links to videos or blogs and in any other ways. This will lead to a dialogue between both the parties (you & prospect) which can become your lead in future. Never miss the opportunity to get in touch with the prospects. Try to know what they want & provide them. Avoid tweeting random people. Moreover try to find the target audience and connect with them via way of tweeting. Do not tweet them rather follow their conversations and then tweet with them. Commenting on stuff that relates to your brand, industry and then carrying it on by sensible communication that could provoke the prospects to know more about your brand will be the way out. This way you stand more chances to get leads from your Twitter account. Develop your network in this manner. Get the followers who attracted towards your brand and are likely to purchase in near future. Tweeting just anyone and gaining followers will not reap much fruitful results. Quality takes over quantity, remember. Notice when someone is retweeting you, sharing your stuff, Favoriting and commenting. Do not avoid the people or take them lightly that help you grow your business by way of spreading word. The gesture by every single person in favour of your brand should be noticed and counted. A ‘Thank you’ in polite and sweet tone would make them happy and they can stick around. Give them recognition by adding into private list of tweeters and retweeters. This will encourage them to keep sharing your stuff and develop a good relation with you. Try to know more of these kind of people. Social media is a boon for the businesses when you succeed in building good relationships for taking your brand higher and keep these relationship maintained for long. Tweet engagement- this is what everyone desires for with their tweets! More tweet engagement means more success with your Twitter based marketing. Engagement rate depends on many factors. You have to study each one mindfully. Share articles, blogs, carry on discussions, answer queries, solve issues and much more. Know your audience and engage with them. Be regular when it comes to tweeting for your brand. Consistency is important feature for any task to excel at. Stay active but do not over post. Do not spam your audience as they may get frustrated and you may lose them. Do not always try to push your message. Not every time or everyone may be interested in your brand or what you have to offer. Interact with all, be helpful, solve their issues, give suggestions as well. Also Transparency is important. Stay true to your brand, audience and your business. Trustworthiness can take you miles and give you a large pool of loyal customers. Do not ever provide misleading or vague information to the audience. Your goodwill, reputation, credibility is dependent on your transparency. Just stay honest to your audience, industry and brand. You can connect your LinkedIn account to Twitter account in order to keep track of what your professional connections are up to. What they are tweeting. You can do so by dding twitter account to your LinkedIn profile, installing the LinkedIn ‘tweets’ application on LinkedIn profile and then creating a list of your LinkedIn connections just at the click of a button.